Which one of the following sentences includes a prepositional phrase? In order to master identifying prepositional phrases, it is important to understand what they are. A prepositional phrase includes a preposition, its object, and any modifiers of the object. 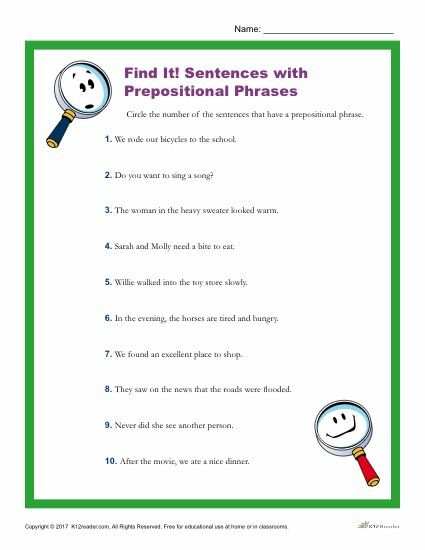 This printable prepositional phrase worksheet asks students to read through the given sentences and circle the number of the sentences that have a prepositional phrase.It is ideal for 4th and 5th grade students, but can be used where appropriate. Download and print the worksheet to use both at home and in the classroom.